A fast and easy hat to knit and felt. A canvass for your embellishments! 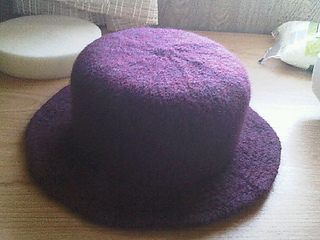 Hat is knitted in the round.